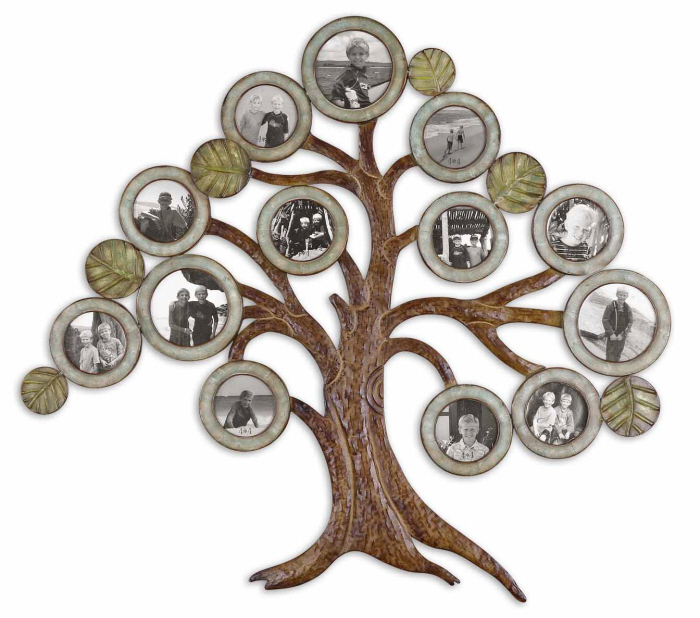 Made of hand forged metal, this collage provides numerous openings to display your favorite photos. Finish consists of aged chestnut with antiqued verdigris details and burnished edges. Holds 10-4x4 and 3-5x5 photos.